Australians have among the highest pet ownership rates in the world. But when it comes to medical care for furry friends — the industry is in turmoil. Jennifer Hunt forked out tens of thousands on vet bills to keep her pet dog Jed alive. “I got asked by the vet if I would put him down as it’s expensive surgery and many pet owners can’t come up with the money. “But then I thought, Jed is part of the family you wouldn’t put a family member down,” she told 10 daily. Hunt ended up paying a total of $30,000 for various spinal treatments for her border collie. 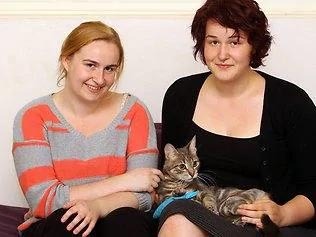 While she managed to come up with the funds, she soon came across countless heart-wrenching stories of Aussies who couldn’t afford to keep their pets alive. “For example pensioners whose pets are companions and bring them so much love and joy. “Or families where a loved one is autistic, disabled or stressed, there’s a lot of evidence of how much a pet improves their outcomes,” Hunt said. The Melbourne-based nurse decided to start a crowdfunding charity to help families save their pets. Eight years later, the Pet Medical Crisis Fund (PMCF) has raised and distributed almost $400, 000 to save more than 450 pets across Victoria. “Many of the people we’ve helped are single mothers with sick or disabled children as well as pensioners,” Hunt said. Australian pet owners are forking out a $1.3 billion annually on the vet, according to recent research by comparison website Finder. The PMCF also covers the cost of some vets who agree to do procedures where an owner can’t pay. But it’s not just pet owners paying a high price. Dr Oliver Liyou has been a vet in regional NSW for 25 years. He says he’s struggled to stay in the industry — where staff shortages, mental illness and clients who can’t afford to pay for treatment — is rife. “The general public thinks all vets are rich and that’s just a misconception,” he told 10 daily. Liyou estimates that around 50 percent of Australians can’t afford reasonable medical care for their pets, yet many clients he encounters own multiple animals. “Many vets are walking away rather than being prepared to put their mental health at risk doing such long hours, managing financial stress and dealing with client expectations,” he said. According to the Australian Veterinarian Association, suicide among vets reached “near epidemic” levels in 2013. “I’ve had five vet friends commit suicide, and a few years ago I was lucky to survive a suicide attempt, I ended up in a coma and ICU,” Liyou said. Liyou says access to information and misinformation online compounds the problem. “I have seen attitudes change in the last five to 10 years. Clients often have distorted views and expectations not only of costs but how to treat things based on what Dr Google says,” he said. “People often say ‘treating my dog is more expensive than my medical costs’ but they don’t see all the costs of caring for humans”, Dr Paula Parker, President of Australian Veterinary Association (AVA) said. Parker says most local vets are equipped like small hospitals, and the huge medical equipment costs are absorbed by small business owners. “We do not get state and federal government funding, Medicare and PBS,” she said. According to Australia’s largest veterinary employment website, Kookaburra Veterinary Employment, there are currently 430 vet roles that haven’t been filled. “We are seeing shortages, largely in rural areas and also where more specialists skill sets are required,” Parker said. In response to dwindling vet numbers, isolation and stress, the AVA has introduced a 24-hour counselling hotline, a mentoring program as well as a benevolent fund to support vets in need. The AVA recommends pet owners have two plans in place to manage the health of their animals. “One is a preventative health care plan that includes vaccinations, six monthly blood and dental tests, heartworm protection and good diet and exercise. “When things go wrong people need access to either pet insurance or funds put aside perhaps in a separate bank account for a rainy day for their pet,” Parker said. If you need help in a crisis, call Lifeline on 13 11 14. The Veterinarian 24 Hour Counselling Hotline details can be found here. HARRY the cute pup with the time-bomb ticker has been saved thanks to a medical crisis fund for pets and a veterinary heart surgeon. But the extraordinary effort to keep Harry alive was not without a last-minute drama. A tight schedule to save Harry almost came unstuck yesterday when a vital device needed to plug the hole in the little hound’s heart was held up by Customs in NSW after being flown from the US. A suburban vet check revealed a heart murmur when Harry was taken for vaccinations by Mentone couple Kristy Picone and partner Matt. Unable to afford the costs involved, Harry’s owners agonised over the pup’s fate. But Dr Woolley contacted Jennifer Hunt who runs the Pet Medical Crisis Fund. 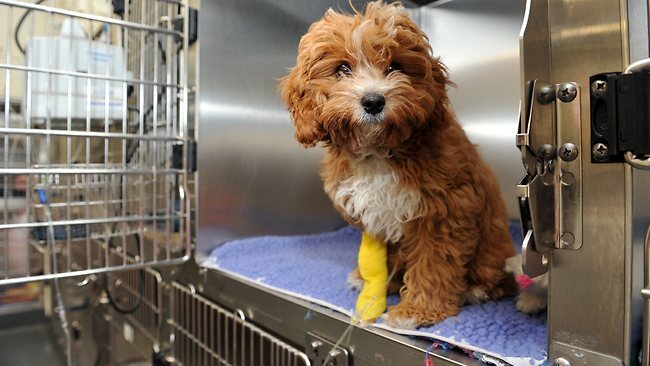 “Dr Woolley is discounting his surgery by $1000 and the Pet Medical Crisis Fund is donating $1000 and we are delighted to be able to help this little guy over the line,” Ms Hunt said. Surgery went ahead yesterday and Harry is believed to have pulled through beautifully. MARIA Kljuce has given all she has to save a chicken that does not lay eggs from certain death. 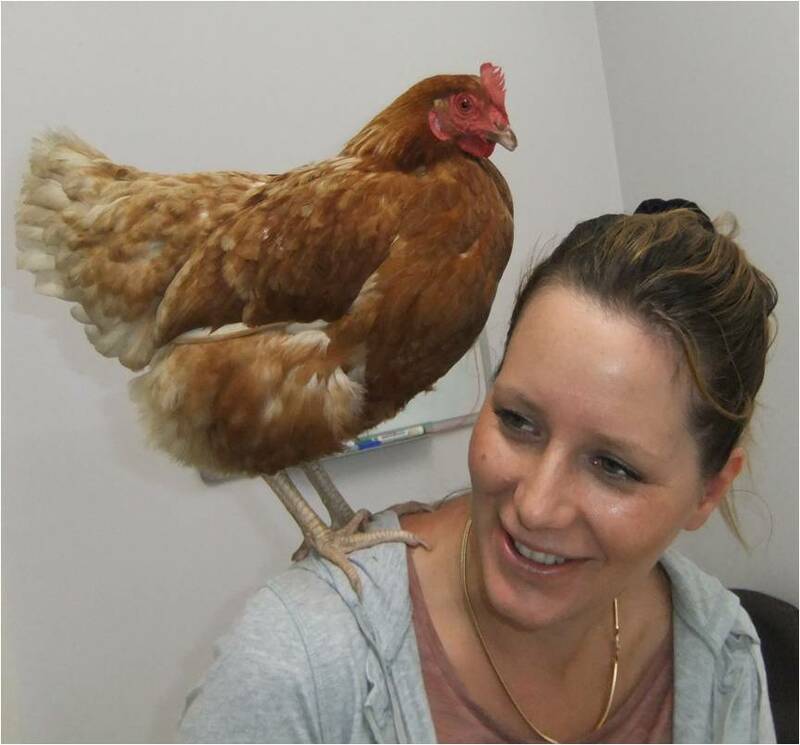 Ms Kljuce, of Endeavour Hills, said she rescued the hen with five others from starvation and named her ‘The Smart One’. “She has always stood out as more intelligent than the others,” Ms Kljuce said. But, after a few days, Ms Kljuce said she noticed her pet chicken was not eating. She brought her to to Dr Phil Sachs in Burwood, who found dog pellets stuck in its neck. Surgery was about $600, which Ms Kljuce could not afford. Dr Sachs halved the surgery’s fees, Ms Kljuce chipped in $150 and the Pet Medical Crisis Fund covered the rest. “She’s the only one that doesn’t lay eggs, but I love her,” Ms Kljuce said. 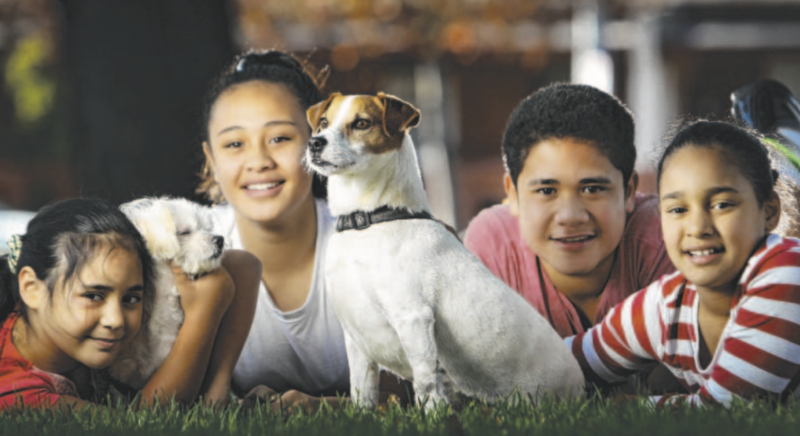 CARLTON mum Epifania Smith was facing the worst of dilemmas when her much loved pet, Spunky the Jack Russell, needed urgent surgery for bladder stones recently. With Spunky in extreme pain and faced with an unaffordable surgery bill and ongoing specialised food costs, the unemployed mother of five was distraught when told euthanasia was her most practical solution. “The night we found out we were so sad, the kids were aware we had to save money … we were living on toast trying to save money,” Ms Smith said. But the mood in their home instantly lifted after Ms Smith made contact with the public charity, Pet Medical Crisis Fund. The fund, available to all veterinary clinics in Victoria, was set up by Jennifer Hunt in 2010 and aims to help people on low incomes keep pets when expensive treatment is required. When the plea to help Spunky came, the fund was able to provide the Lort Smith Animal Hospital with $750 to start Spunky’s treatment immediately. Ms Smith has committed to pay off matching costs through fortnightly instalments. “When we heard from Jennifer it was like a party in our house,” Ms Smith said. Late last week, Spunky was back home recovering from the surgery and insisting on prime position on the family’s couch. Alisha Anderson shares a tender moment with her dog, Marley, who was saved by the generosity of others. BELOVED family dog Marley has been saved by the kindness of strangers. 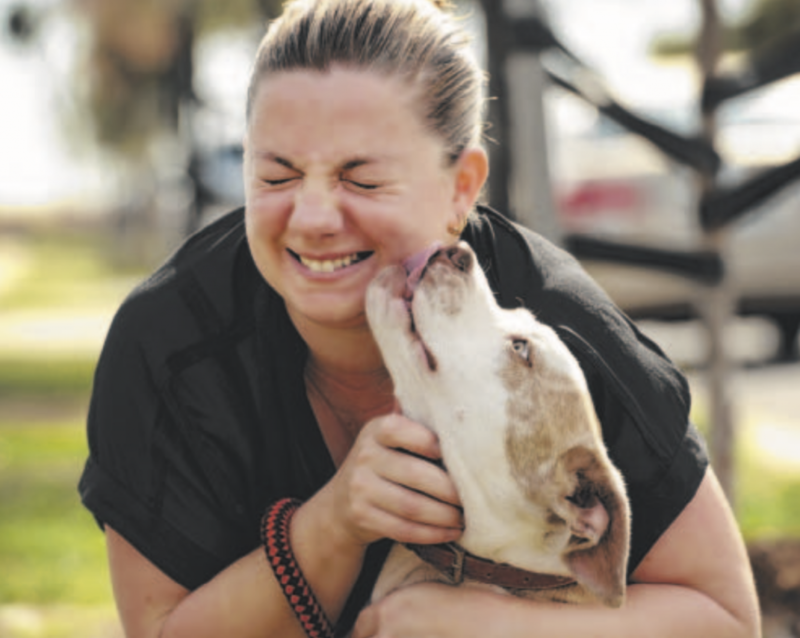 When the active dog stopped eating and started hiding, Wyndham Vale owner Alisha Anderson knew something was wrong and took her to Lort Smith Veterinary Hospital. An X-ray revealed the dog needed surgery to remove a corn cob stuck in her stomach – a procedure costing up to $1000. “Being a single mum, I didn’t have the money,” Ms Anderson said. However, the vet suggested the Pet Medical Crisis Fund, a charity that helps cash-strapped pet owners avoid having to put down their animals just because they can’t afford treatment costs. The fund, which relies on donations, provided a $500 deposit for Marley’s emergency surgery. “Without them, we wouldn’t have Marley,” a grateful Ms Anderson said. 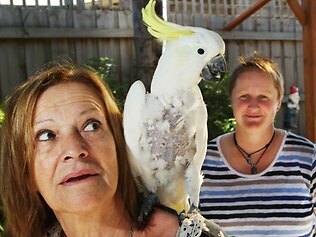 THANKFULLY for the owners of eight-year-old cockatoo Kokita, help was not too far away when the little bird got its feathers in a ruffle. Kokita required surgery for a wound it sustained after pulling out its feathers, but owner Olga Romero was struggling to finance the operation. However Kokita is now on the mend following assistance from the Pet Medical Crisis Fund. Ms Romero’s neighbour Rebecca Poole helped secure the funds for Ms Romero. The fund was established about three years ago by nurse Jennifer Hunt, who dealt with almost $30,000 in surgery costs for her dog. She decided to assist other pet owners who couldn’t afford the cost of emergency care for their animals. The fund relies on donations from the community and last year, it helped around 55 families save their pets. Ms Romero took Kokita in when its former owner passed away. The cockatoo had six visits to the vet as well as four anaesthetics with treatments, and had his bandages and neck collar removed in late February. About $300 was contributed by the fund.